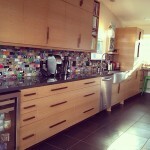 I&C Craftsmanship have been busy but we wanted everyone to see what we have been up too. We opened our shop in 2004 with a 1500sf shop in Santa Ana, a year later we expanded into the shop next door to double our size. In 2009 we moved into our current location in Santa Ana with 4000sf and a much more satisfactory work space. We have been building our clientele continuously with quality work and great referrals which has brought us to some of the top builders and designers in Orange County and Los Angeles. 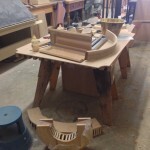 Our projects have included some of the premier custom homes in Laguna and Newport Beach to celebrity homes of Malibu and Beverly Hills to cutting boards and cardboard parts for small businesses. 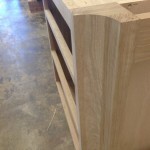 Corey and I have been working on a new updated website and are proud to share with you www.iandccraftsmanship.com please browse through and check out some of our latest projects and please follow us or like us on your social networking sites like Facebook, instagram: @iandccraft and twitter: @iccraftsmanship. In an effort to try and keep our company relevant and stay in touch with past customers, vendors, friends and family we are working to keep our website updated as frequent as possible. We would like to send out occasional (that is occasional) updates when we add any significant projects or new ideas we are a part of and welcome you to stick with us for future updates. Enjoy your summer.